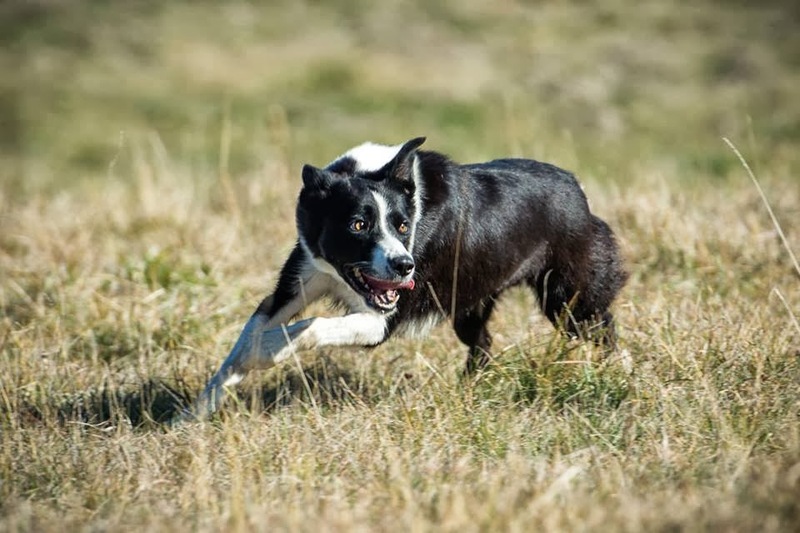 At a trial recently, the conversation went something like this: “What are the proper things to do or not do at a dog trial?” This is a great question, especially given the number of new people starting out in the herding world, so I will try and make a list of some things to consider at a trial. Don’t complain to the trial host about conditions that were on the entry, or with the running order that is sent out before the trial. Putting on an trial takes a lot of effort and is stressful. Complaining about dust or mud in the parking area, or you think the sheep are the fault of your run doesn’t help the host want to ever do a trial again. Picking up your dog poop! If you have a designated dog area, please use it. Granted, your dog might go and you can’t find it, so pick up any poop you see then. It all helps! Most hosts have a scooper available and a place to dispose of it. Please don’t put bagged poop in with the scooped poop. Don’t litter. It’s just a given. If you think you had a problem with your run, go to the Trial (Course) Director and speak to them. Do not bombard the judge after hours. He or she has had a long day and would like to relax. If it is a problem, the Director will take care of it. The USBCHA rules state: No contestant, or other person, shall engage in any form of misconduct or harassment toward trial management, judges, or HA officials. Trial management has the right to disqualify or refuse entry to any contestant or other person for violation of this rule. Please respect the livestock. The thing that makes our sport work is having respect for all involved, especially the livestock. If you have a negative opinion about the person on the field or their dog, keep it to yourself. You won’t gain points for bad mouthing a run or handler while sitting under the handler’s tent. Don’t play ball, Frisbee or throw a stick, water bottle etc. 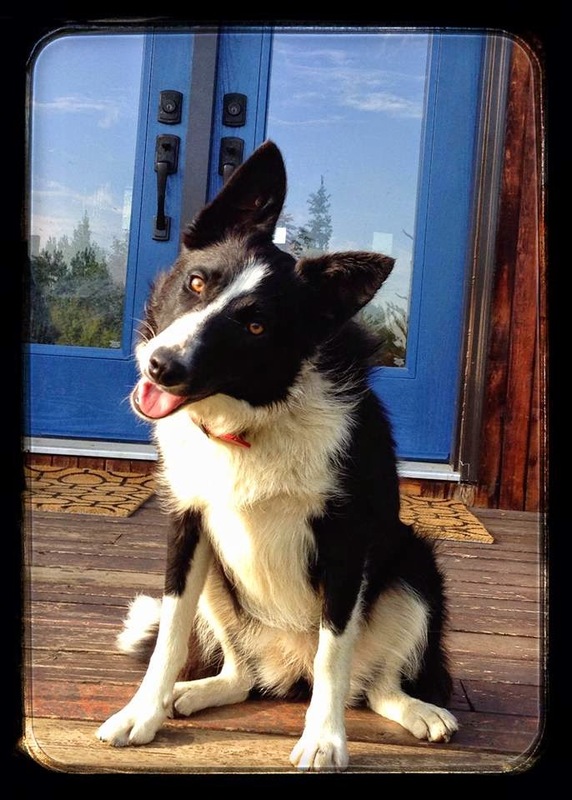 Border Collies and other herding breeds are high-drive dogs. Throwing toys will only cause fights, barking, screaming and negativity. Save it for home if you do it. Keep your dog under control both on and off the Trial field. Not everyone`s dogs want to play, so when walking yours please remember this. There is no place on the trial field for tempers or bad sportsmanship . Try and stay out of the blind while watching. This area is for handlers next in line for the field to stand with their dogs so that cannot see the sheep being exhausted off the field. If a handler is waiting to run and off by themselves, be understanding if they don’t want to join in conversation till after they run. The main thing is to enjoy the trial, treat others as you would like to be treated and have fun! Here are some pictures I took after I worked the Border Collies. Hank and Sage Whatcha lookin' at? You guys see the dog? My friend Nancy Barker came to visit for a couple days with her dogs Gwen and Billie. It was hot and smoky, not a great day to be outside so we decided to go on a small tour. 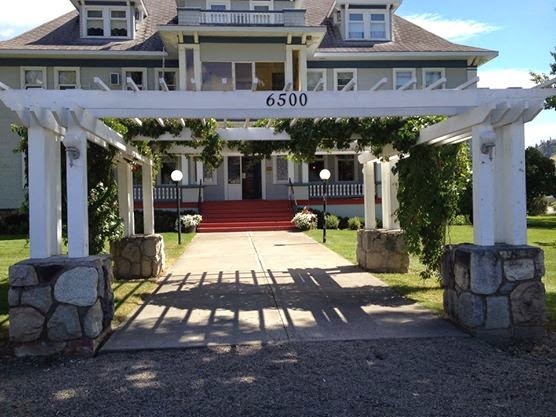 Back road to Douglas Lake from Westwold and then lunch at the Quilchena Hotel. Didn't get many scenery pictures because of the smoke but have a couple to share. 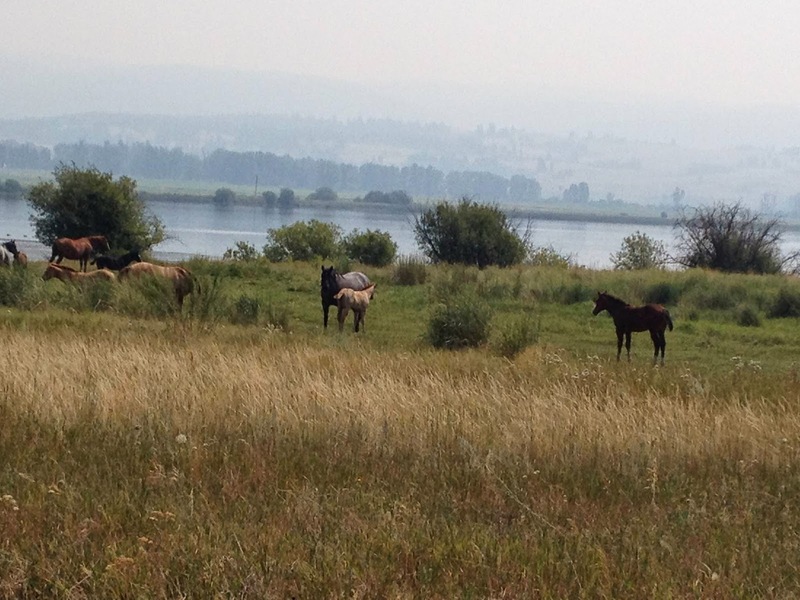 The Douglas Lake Ranch still breeds their own ranch horses. The famous Peppy San was from Douglas Lake and the line still carries on. Bred ewes watching Len with the tractor...it could be bringing FOOD! The piles of plowed snow are getting higher! Bet yells..I'm coming! Are we going to work again???? That's all! Have a Merry Christmas! This is the bale wagon and has our water tank in the back so looks a little odd. Easy to transport it that way. It has been so hot here that the sheep go out in late evening to graze. There are 6 new replacement ewes and a wether that will be going in with the new ram when he gets here. They fit in like they have always been here. The Contenders . . .